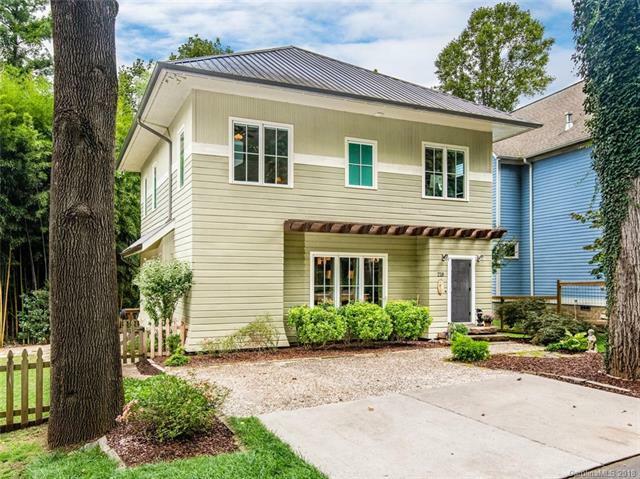 Enchanting and classically "Montford," this 2,000+ sqft home has been meticulously appointed and feels like the cottage from your dreams -- yet so close to all Asheville has to offer. Enjoy entertaining in your open living space with large kitchen island and gas cooktop, grand fireplace, and doors that spill out onto a gracious back deck. Host a neighborly dinner party on the shady back porch tucked away in a little bamboo forest, savor morning coffee on the private balcony in your oversized master suite, or take a soak in the free-standing tub. With room for a growing family or out-of-town guests, touches of shiplap, bespoke wood, and built-ins galore, every nook has a story and every room is a retreat.